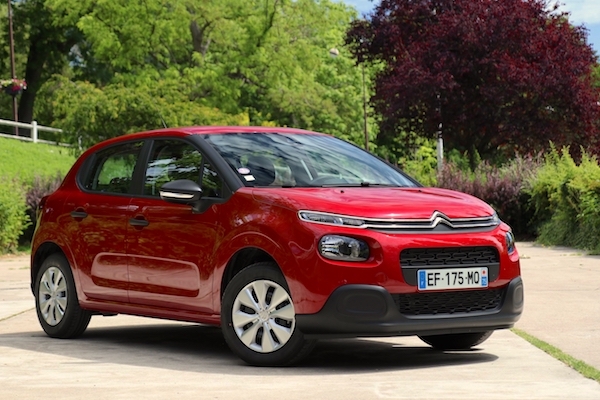 The C3 (+26%) helps Citroen up 18% to 11.7% share at home so far in October. New car sales in France continue to suffer post-WLTP hangover at -6% year-on-year over the first 17 days of October. Peugeot (+7%) holds onto the pole position thanks to a strong result whereas Renault is stable at #2, but it’s Citroen (+18%), Toyota (+16%) potentially headed towards a second consecutive – and ever – 5th place monthly finish, and Dacia (+15%) that impress the most in the Top 10. Reversely, Volkswagen (-44%), Nissan (-53%) and Audi (-75%!) are still decimated by overuse of pre-WLTP registrations and they are still busy selling off as 0km 2nd hand the cars they artificially registered before September 1. Model-wise, the Renault Clio (+29%) is already back to #1 just as the Citroen C3 (+26%) outsells the Peugeot 208 (+4%) for now, with the 3008 (+6%) and 308 (+10%) also making it into the Top 5. Excellent hold of the Toyota Yaris (+24%) in 6th place. Full 1-17 October 2018 Top 10 brands and models below. France April 2011: Dacia Duster #1 in weekly ranking!